Bachtrack, the online database for concerts happening throughout the world, has published their annual review of 2014. They looked at all of the ensembles, conductors, composers, and pieces that were included on their website (which collects information from ensembles around the world) and had some insights to the current state of classical music. You can see the full results here – but, unfortunately, there is no surprise to the current state of women. 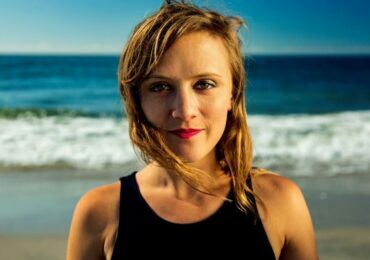 The statistics provide unarguable evidence that the classical music sector’s repertoire is dominated overwhelmingly by dead white men, and performed by living white men. 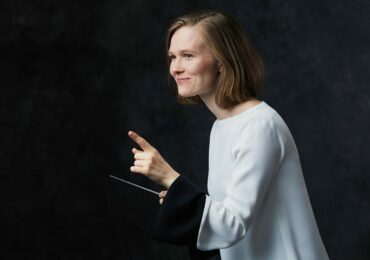 I wish this was only a cliché, but even though things have improved in a small way since 2013 – when there was only one single female conductor in the top 100 busiest maestros (this year there are four times as many, but four out of 100 is hardly breaking new ground for gender equality); and if in 2013 there were no women at all in the top 150 most performed composers, at least this year Sofia Gubaidulina claws her way to no. 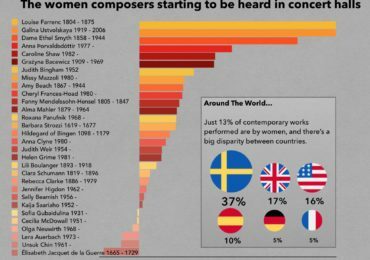 132 in the list), it’s clear that the institutions of classical music, above all the orchestras and opera houses, are moving at a collectively glacial pace when it comes to equal gender representation. 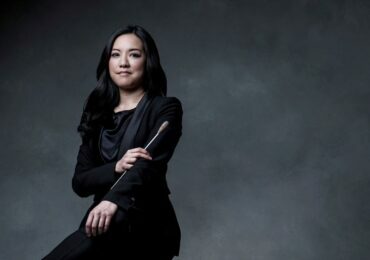 The total numbers of women, both as conductors and composers, is, in a word, pitiful. 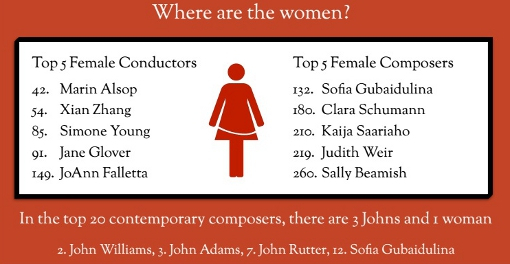 However, it is notable to mention that Clara Schumann made it to the list at all. And, I would imagine, that the number works by Judith Weir performed in the coming year will increase; the announcement regarding her position as the Master of Queen’s Music came long after most ensembles had their programming for the 2014-2015 season set. It is also significant to acknowledge the conversations that are happening about women and music, and recognizing the problem in the lack of representation, in British media. That Bachtrack explores these statistics is itself telling, and there is no ambiguity in Service’s thoughts on the need for better representation. The Backtrack statistics also give us a look ahead in what to expect for 2015 with regard to the tendency to program in connection to composer anniversaries (2015 is the 150th for Sibelius and Nielsen). But let’s not forget the women with anniversaries in 2015! Vítězslava Kaprálová is celebrating 100 years; Josephine Lang and Pamela Harrison are both celebrating 150 years. But I don’t think I should hold my breath to count the number of Kaprálová remembrances we should anticipate in the 2015 review.